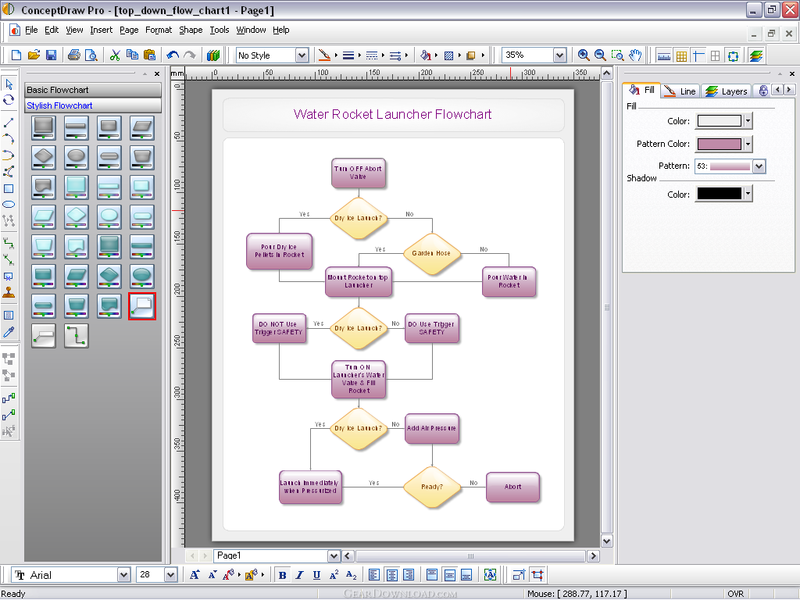 ConceptDraw 7 is a powerful business and technical diagramming package for both Windows and Macintosh. It is intended for drawing schemes and diagrams of different kinds: business diagrams and flowcharts, network diagrams and software charts, technical drafts, floor and landscape plans. ConceptDraw 7 offers a wide choice of powerful and easy-to-use tools for quickly creating all kinds of charts and diagrams. Even if you've never used a drawing tool before, it's very easy to create high-quality professional graphic documents with ConceptDraw 7. That’s possible thanks to the program’s intuitive interface, comprehensive drawing capabilities, and many pre-drawn library shapes. Templates will help to quickly create most common documents. This download (ConceptDrawProEn.zip) was tested thoroughly and was found 100% clean. Click "Report Spyware" link on the top if you found this software contains any form of malware, including but not limited to: spyware, viruses, trojans and backdoors. CD & DVD Box Labeler Pro 2016 1.9.97r2 - Design your own custom CD, DVD & Blu-Ray Labels with this easy to use software. Ashampoo Photo Mailer 1.0.8 - Ashampoo Photo Mailer - the easiest way to share photos through email. Media Resizer FREE thumbnail creator 2.57 - Creating image thumbnails has never been easier! Pocket Wallpaper 1.01 - Create themes and wallpaper for PocketPC and other mobile devices. Kaleider 4.9.2 - Kaleider emulates kaleidoscope, mirroring, 3D mirroring and funneling effects.